of 27 m and is overgrown with hard- and softcorals. The ship cracked down in the middle. The better part of the two halves is the stern section. Here it is easy to dive inside the wreck, because there are a lot of entry and exit points. Because the wreck is leaning on a 45° angle you will find yourself swimming up a stairwell which your mind tells you are heading down. This effect is very special. The steamship CARNATIC struck the reef in September 1869. She sank the following day as the weather worsened. She lies in about 26 m depths. She has broken up amidships, leaving her bow and stern intact. The decking has fallen away to be replaced by a thick growth of tube sponges, alcyonarians and occasional table corals, making her very photogenic. She is also laid open to light from above and is easily penetrated. The Dunraven, a steam and sail-powered vessel used to transport spices and timber, ran aground the reef Shaab Mahmoud in April 1876 during a voyage from Bombay to Newcastle and sank quickly. The ship broke in two, and her two halves came to rest on the sea floor. The wreck lies upside down with the stern at a depth of 28m and the bow at 18m. 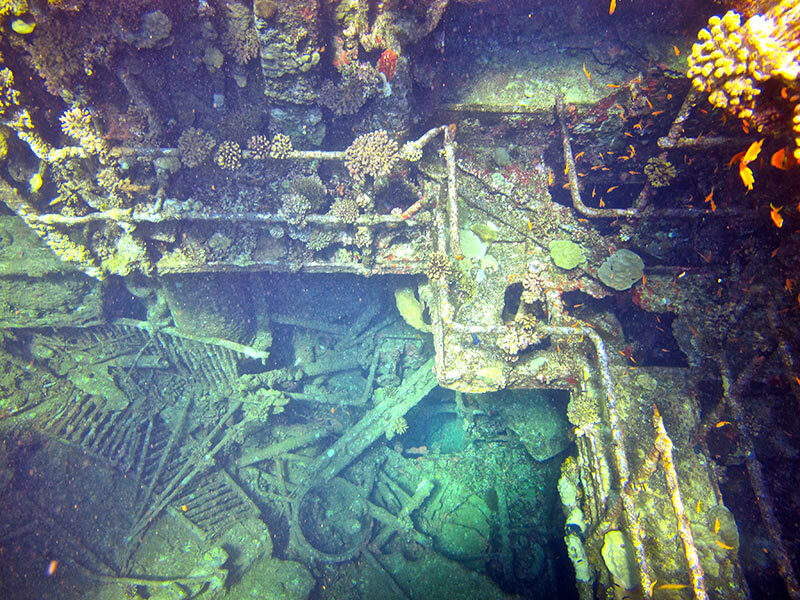 At the stern you find the propeller and the rudder, which are overgrown with corals. Inside the wreck you see thousands of glassfish. 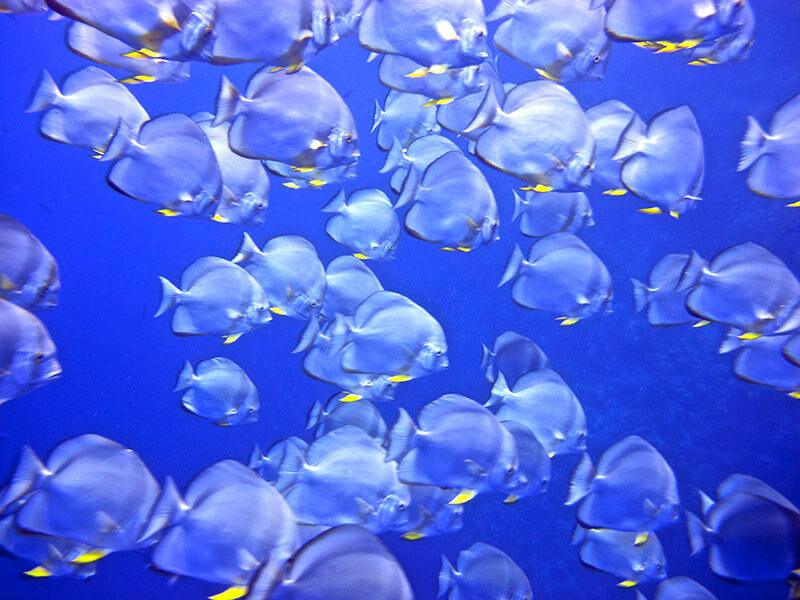 The marine park Ras Mohammed offers dreamlike diving spots. 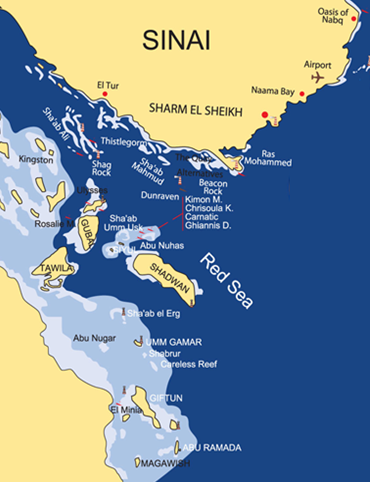 For example SHARK REEF and JOLANDA REEF. Both reefs are standing on a plateau, which is between 10 m to 20 m deep. The edges of the plateau fall down to more than 200 m. At the reef you will find nice hard and soft corals, plenty of fish in all kind of sizes. With luck you can see sharks during your early morning dive. At Jolanda Reef you can see the cargo of a Cypriot freighter JOLANDA which ran aground in 1980: a large quantity of household pottery such as toilets, bath and shower tubes and bidets. The Rosalie Moller was built in 1910 under the name of “Francis”. 1931 she was sold and the new Owner gave her the name of “Rosalie Moller”. Before the war she was used as a Cargo ship between Shanghai and Tsingtao. As soon as it was clear, that Britain will emphasitate to the war, the British Army called all the boat sailing under the British flag back to England. The Rosalie Moller was used as Cole cargo boat between Liverpool and Gibraltar. 1941 was her time to come over the cape of South Africa to the Red Sea. In the beginning of October 1941 her anchor place was in the Street of Gubal which was at that time known as save anchor place for the British Empire. Two days after the bombing of the Thistlegorm the Rosalie Moller got bombed from German Henkel planes. The Rosalie Moller goes down in less than an hour, facing north. 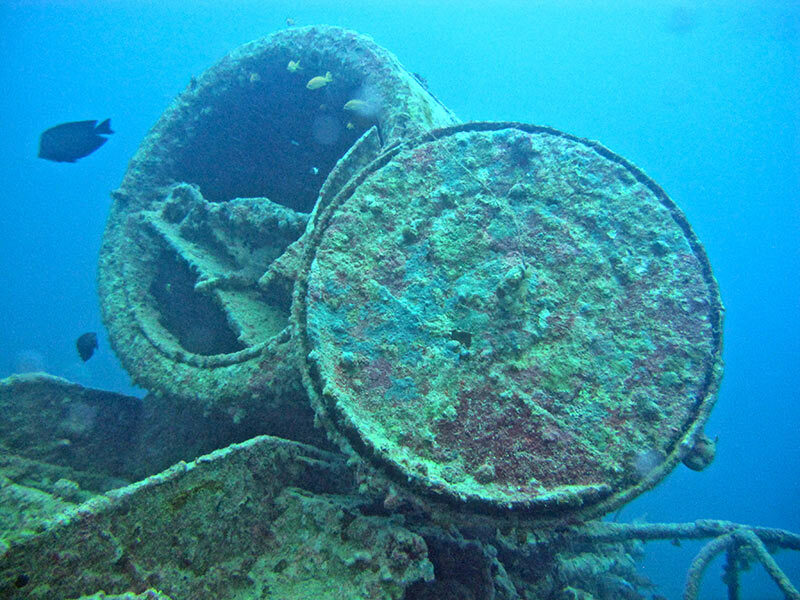 The Wreck lays in maximum 50 m depth. 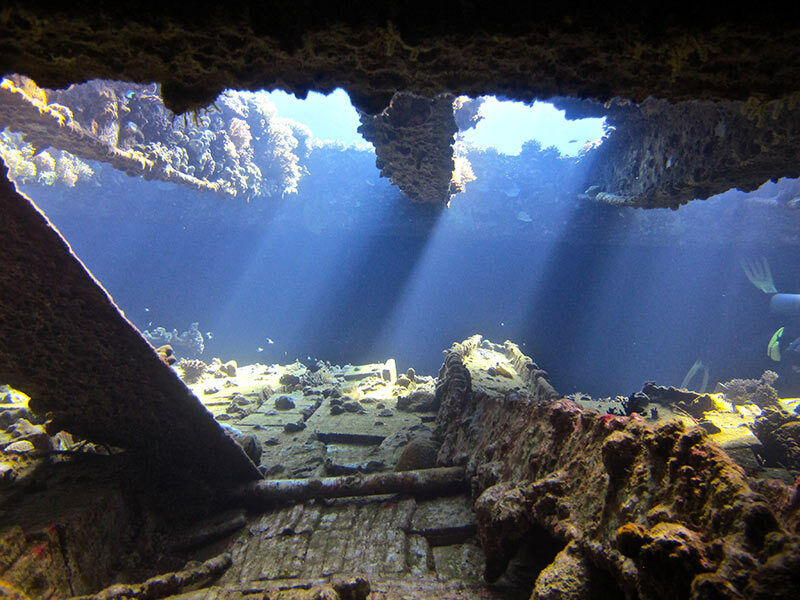 The Main deck reaches up to 35 m. Because of the depth, heavy current and laying at the north side of the Gubal Islands it’s not always possible to dive this special wreck and its only allowed for experienced divers.